Moving home is not a simple job. Especially when you have to pack large and heavy items such as the fridge. If you want to transport a fridge the right way then you should follow some steps. It is not simple, but it may be. There is no magic formula, as moving the fridge depends on the situation. The best solution is to hire movers especially when you have a lot of obstacles. 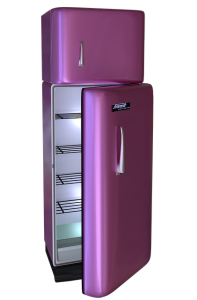 You can hire some of the best shipping companies Kuwait and the problems with moving your fridge will be gone. It is an easy, simple and safe solution. Sometimes the only solution. If you are moving abroad, somewhere far away, hiring a moving company and a shipping company is probably a must. 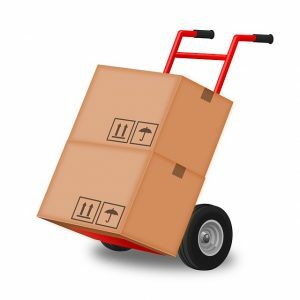 If you know that you will not be able to transport it by yourself, then hire a moving company. If you want to transport it by yourself, you can do it. But only with the right equipment. What will you need for this task? Appliance dolly with straps will help you transport a fridge the right way and also much easier. A good quality rope or cord. And the last but not least, people to help you. You will need at least two people. It is not simple to pack and move like a pro alone. The first step to do it is to clean it. Take everything out, even the ice cube trays and magnets. That is why you should eat your perishable food before moving day. In that case, you do not have to throw your food. Do not go to the grocery stores unless it is necessary. After the food is out, clean your fridge with the mixture you are using for cleaning. Using baking soda and water is also a great mixture for cleaning. Remove shelves too, it is safer. Make sure you melt any remaining ice inside of the fridge. Your fridge should be clean and empty. After a deep clean, turn your fridge off for at least 24 hours. This way oils in the compressor will settle down. This will be enough if you have an ordinary fridge. But, if you have an ice maker or water dispenser into your fridge, then you should disconnect it manually. Even if you hire a moving company, they will not do it instead of you. Do not forget to put down towels beneath the fridge because the remaining ice will melt. Water all around the fridge is a thing you should avoid. To transport a fridge the right way, you need to measure it and to make a plan for how to transport it. Smaller fridges are easier to move, of course. How big is your fridge? Measure the height and width and depth of your fridge before you start moving it. When you know how big your fridge is, you can make a plan on how to load it into a moving truck. Also, call a couple of friends to help you with carrying your fridge. But not only the fridge. 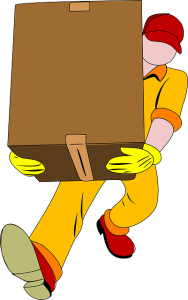 If you are moving without a moving company, you will need help for carrying all the large and heavy items. You cannot move your fridge if you have a million obstacles in the house. Especially if it is a large fridge. If it is needed, remove doors (or/and windows) to move your fridge easier. It depends on what plan do you have. But, anyway removing the furniture and doors will help you a lot. The way should be clean. The fridge is one of the hardest items to move, so do not make it harder than it is. Close the doors of your fridge and secure it with a good quality rope or cord. Or tie the doors together if it is a double door fridge. But, on the other hand, make sure the doors are not too tightly secured because it can damage the fridge during transportation. Do not use tape because it is not safe and it may leave a residue. These rules are for moving which will last for a day. But, if your moving will take longer than a day, then leave the door slightly open. This will prevent your fridge from forming mold and mildew. But, it must be closed during loading and unloading from the moving truck. The best helper for moving your fridge or any heavy item is a dolly. If you have stairs, dollies are necessary. Your fridge will be undamaged with them and you will move it much faster. Any dolly with straps will be helpful and useful for the transportation of your fridge. It must be big enough. You do not need to buy it. Just rent it, or ask some of your friends to borrow you their dolly. Transport a fridge the right way and at the same time an easy way with the right equipment. Use the equipment that will make the transportation much easier and safer. If you want to move without stress, you should hire professional packers. Otherwise, be gentle while moving your fridge. Secure your fridge with a dolly and move it slowly. Move it opposite to the tilt. Your helper should be on the other side, assisting you. Do not tip back your dolly with fridge more than 40-45 degrees. If you have stairs in your home, go step by step. Do not rush with moving it. You can damage the fridge, and what is more important you can hurt yourself and your helper too. When loading and unloading it from the truck, you should also have some help. A truck ramp is very helpful in this situation. If you do not have a ramp, it will be more difficult but not impossible. Put your fridge to your new home the same way you moved it. The fridge should sit for at least 4 hours before you plug it in because of the oils and fluids in the compressor. Transport a fridge the right way and put it in your new kitchen and enjoy. Be patient because it will take about 3 days for your fridge to regain the low temperature.